Steven Hamley: Is Acne a Disease? Acne is considered a fairly normal part of adolescence as it is so common at that age, and is one of those things that apparently, just happens. 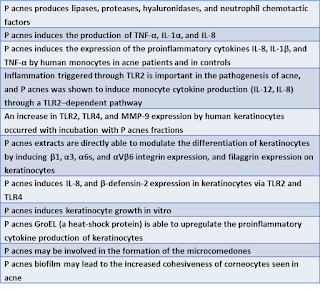 Being considered a normal part of adolescence may have led to studies such as the one quoted below, which suggest acne is not a disease, but rather an evolutionarily adaptive, physiological process. Dead skin cells in the hair follicle would normally detach (desquamate) and be forced out of the follicle, mainly by the growing hair. In hyperkeratinisation that process is blocked and many dead skin cells don’t leave the follicle due to an excess of keratin, which is the main protein of skin. Keratin sticks the dead skin cells together and blocks the hair follicle or the sebaceous duct (where sebum comes from). When the normal flow of sebum onto the skin surface is obstructed the comedones (blackheads and whiteheads) are formed which starts the process of acne  . People with acne have abnormal keratinisation that that obstructs the pilosebaceous unit (hair follicle + sebaceous gland + arrector pili muscle (small muscles that cause goosebumps)) . Sebum is an oily substance that consists of triglycerides, wax esters, squalene and sterol (mostly cholesterol) esters. Sebum is produced by sebocytes in the sebaceous gland and the main function of sebum is to keep the skin and hair supple. Acne cannot occur without sebum  and people with acne secrete about 2.2 times more sebum . Acne occurs mainly on the face, upper chest and upper back, which are the parts of the body that produce the most sebum . Androgens are largely responsible for sebum production. However, the incidence and severity of doesn’t always correlate with P. acnes, and improving acne doesn’t always reduce P. acnes. Although this could be because some treatments are anti-inflammatory , which may also explain the lack of correlation. P. acnes generate lipases that can break down the triglycerides in sebum into glycerol and free fatty acids. FFA (particularly medium chain C8 to C14*) are comedogenic, irritate the follicular lining and can lead to rupture of the follicle with release of the follicular contents into the surrounding dermis, which leads to inflammatory lesions (people with acne also tend to be more sensitive to FFA) . * Which may explain how coconut oil and MCT oil can be a trigger for acne in some people. 1. What are the causes of hyperkeratinisation of the hair follicle? 2. What are the causes of excessive sebum production? 3. If there is, is there any way to avoid colonisation by P. acnes? 4. What are the causes of the hyperinflammatory immune response? 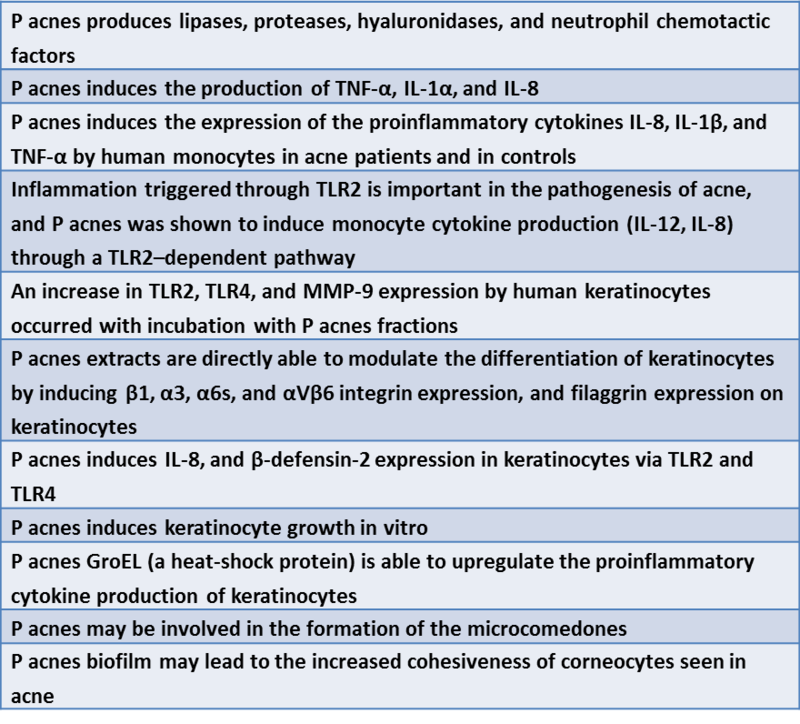 The acne posts are very interesting and useful, many thanks, keep it up! Consuming coconut products breaks me out like you wouldn't believe. Consistent coconut consumption transforms me into half human, half p acne. It really is horrible and painful. I discovered this the long hard way.